With two little quilts finished up, it’s time for me to choose another finish it up goal for March. 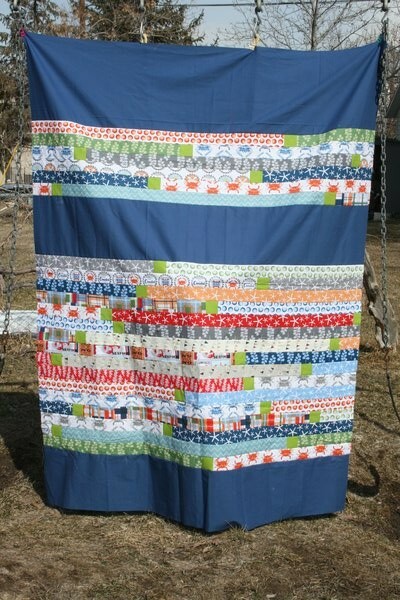 This quilt top will be another quilt for one of my children. Made with Emily Herrick’s Going Coastal fabrics (and a few of her second collection, whose name escapes me at the moment), it pays tribute to our family’s love for the beach. The goal is to baste, quilt and bind it. Nothing too difficult if I just make time. I’m excited to finish it! I’m submitting this as my goal for A Lovely Year of Finishes – goal setting party for March. Do you have something you need to finish this month? Head over and join in! Submissions are open through March 7th. I hope your kids like it. I would love to have this for me, it’s so great! This is the first strippy version of going coastal that I’ve seen and they work so well like that. Nicely done! 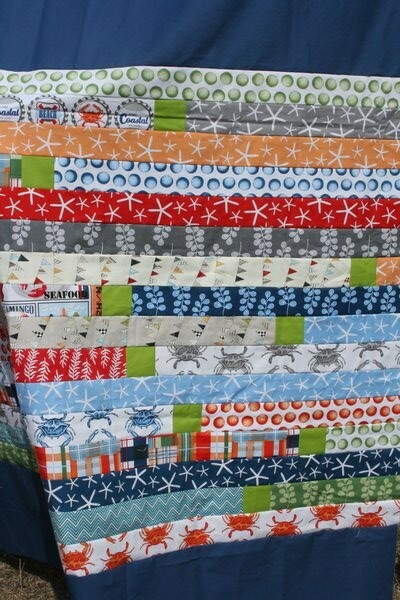 Fun and festive quilt. Good luck with the finish.